Tripp Lite is a leading manufacturer of power protection supplies, including UPS systems, AC and dataline surge suppressors, line conditioners, cabling and connectivity products, and network management accessories. Tripp Lite quality products provide increased reliability and protection to PC workstations, network file servers, telephone systems, point-of-sale terminals, audio/video systems, and laboratory equipment. 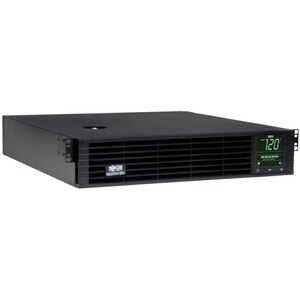 The Tripp Lite SmartPro SMART2600RM2U Rack Mountable UPS features a 2600VA line interactive UPS for server, network and telecommunications equipment. It also features a 2U rackmount form factor, Corrects brownouts and overvoltages from 79V to 147V and a Sine wave output. Uninterruptible Power Supply (UPS) maintains battery derived AC output during blackouts and severe voltage fluctuations, expandable runtime with optional external battery packs and 9 output receptacles / NEMA 5-20P input plug. NEMA L5-30P replacement plug included. 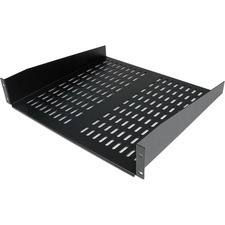 The Tripp Lite SmartPro SMART2600RM2U Rack Mountable UPS features Network-grade AC surge and noise suppression, Network management interfaces include 2 USB ports, 2 DB9 serial ports and SNMPWEBCARD slot. Also Supports simultaneous detailed monitoring of equipment load levels, self-test data and mains power conditions via all 5 network interfaces at once. Includes PowerAlert monitoring software and complete cabling, Emergency Power Off (EPO) interface, Integrated 3 bank switched PDU, 3 stage metered current monitoring and battery charge LEDs.